At Sunset, we’ve seen memorial services of every kind. Significant planning goes into each one. Without some structure that still allows room for personalization and unique remembrances, those first few steps toward planning a memorial can be a challenge. At the same time, these special services are a great way to commemorate and celebrate a loved one. With a little planning and preparation, hosting a memorial service can be a good way to mark a life well lived and to help heal yourself, your family and those impacted by your loved one’s passing. Start Here: Post-Burial, Post-Cremation or Just Plain Later? With a cremation: Some families who choose cremation also will have a private event to inter the cremated remains in a cemetery or scatter the ashes events. The memorial service typically comes after these more private moments have occurred. There are many benefits to hosting a memorial service. For those who held a very private event at the cemetery or when scattering, a memorial service enables other friends and loved ones to adequately celebrate the deceased. A memorial can help begin healing for many. Read our article “15 Things You Can Do with Your Loved One’s Ashes, “which might inspire memorial service ideas. With a burial: Some families plan a cemetery burial followed later by a memorial service. Others many have both a funeral and a memorial service for a loved one. Why? Because of the short window between a death and the burial, it can often be difficult for family and friends to travel to an out-of-town funeral. By adding a memorial service, one that’s scheduled well in advance, you can ensure that all those who want to celebrate your loved one’s life have the opportunity to do so. Standalone Memorial: Standalone memorial services are quickly increasing in popularity. 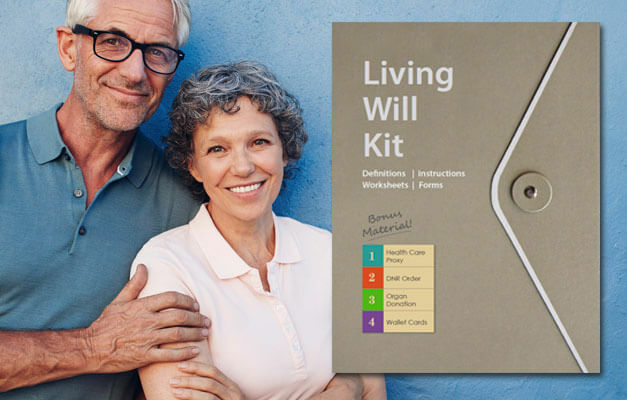 These services can happen at any time following a death — some families even choose to host multiple services over the years, at key times, such as milestone birthdays. If you decide to host such a memorial service, the first step is determining timing. Are you looking for a date that ensures more friends and relatives can attend? Is there a date with particular significance to your loved one, such as a birthday or anniversary? Don’t feel confined to a specific timeline … there’s no rush to lock down a date. If you decide to align your memorial with a meaningful date — a birthday, for example — you may opt to extend that theme through the service. A recent service for a beloved New Jersey police officer integrated plenty of personal touches: not only were guests greeted with cold glasses of spiked iced tea — his signature summer drink — but the entire group moved to a nearby baseball field for a quick pick up game after the service. The invitations and even the obituary itself, had encouraged people to bring gloves, bats and sneakers. And dozens obliged. The deceased was a lifelong baseball fan and popular Little League umpire. By hitting the field, his family and friends could remember him exactly as he would have wanted — with lots of laughter stretched across nine exciting innings. Likewise, many memorial services incorporate music, readings, colors, flowers and other details from the deceased’s life. Alternatively, some opt for more traditional religious memorial services that align closely with a standard funeral, including hymns, spiritual readings and remarks from clergy. Delve into your loved one’s personality and passions and let those guide you. Know that nothing is too big or too small. As long as it’s meaningful to you and your family, it’s a success. Based on any themes or preferences — casual vs. traditional, religious vs. secular, small and intimate or large and sprawling— identify potential venues for your memorial service. Some families choose to have more private gatherings at home, while others look for a place with great meaning to the deceased: a park, beach or favorite restaurant, for example. Some families might use a community gathering place, like a VFW hall, or even a hotel. If you’ve opted for a religious service, consider a church or other place of worship where specific needs can be accommodated, be they specific catering requests, music or audio visual needs. 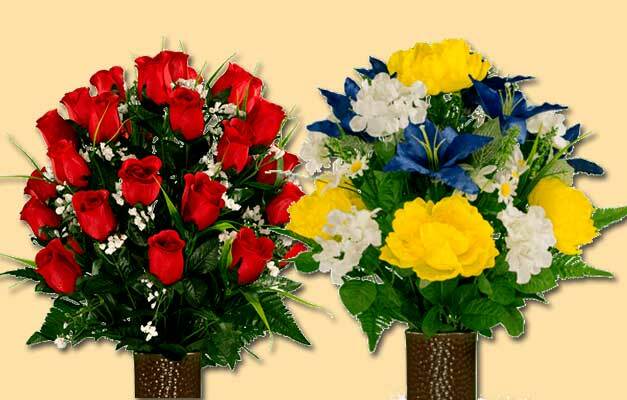 Then, choose decor: Tropical flowers for a travel lover, jerseys for a diehard football fan, bright yellow decorations that reflects a loved one’s cheerful personality — decor can be a great addition to any memorial service, and help set an instant tone for guests. Unlike funeral services, there’s no standard for decor at a memorial. While many opt for flowers, others veer towards the personal and creative. One family chose a fiesta theme and, with it, everything from bold wall hangings and colorful tablescapes to festive music, margaritas and, even mini piñatas for guests — a definite departure from the traditional funeral experience. 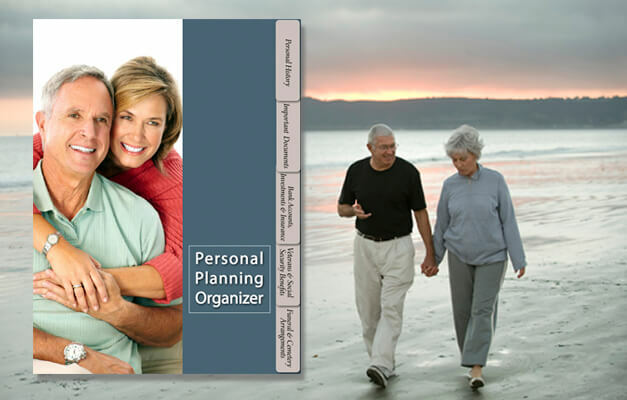 Most planners do choose to integrate images of the deceased and his/her family into the setting. Whether it’s a slideshow, favorite photos displayed throughout the venue or an enlarged image for guests to sign in commemoration. Having your loved one “present” for the memorial adds a very special and very personal touch to the experience. It also helps those in attendance remember the good times, special memories, and everything in between. Most memorial services are scheduled for two hours with a post-service reception to follow (see “Following the Memorial Service,” below). Assign tasks ahead of time, whether it be readings, musical performances, informal words, or other reflections, ideally giving each participant 5 minutes or so. Ensure you leave ample time also for spontaneous toasts, mini eulogies and other personal moments that attendees decide to share on the spot. Given the more casual nature of a memorial and the emotions no doubt present at these services, it’s not uncommon that guests may ask to say a few words in honor of the deceased. Alerting and Inviting Guests: Memorial services that are only several days after the burial or cremation are often noted in the deceased’s obituary. However, if your memorial service will be at a later date, it’s important to alert friends, relatives, co-workers and neighbors as soon as possible. This can be done very casually — via email, word-of-mouth or assigned contact lists divided up among friends and family. It also can be more formal, with printed or digital invitations, for instance. No matter how you choose to invite guests, it’s important that you set the right tone and specifically outline any requests. For example, the baseball-themed memorial suggested attendees bring gloves, bats and sneakers — and they did. A memorial for a Jets football fanatic encouraged jerseys (as long as they weren’t for the Giants!) and many arrived in their Game Day best. Other invites may ask family and friends to bring photos of the deceased, a favorite poem or reading, or other piece of memorabilia to display at the service. No matter the tone and candor, it’s very common to host a reception immediately following the memorial. This is commonly held at a family home or even, restaurant or bar depending on the type of memorial service you’re hosting. The main goal of the reception is to give guests time to relax and reflect on the day. Drinks and food are usually served. Again, this is a great place to weave in some of your loved one’s favorites. Was she always raising a glass or two of her favorite wine? Be sure to have it on hand fora toast in her honor. Were his sausage sliders legendary? Have them prepared and served at the reception. Was she an avid traveler, with a taste for adventure? Look for dishes from some of her favorite destinations, with table cards showcasing some candids from her trips around the world. If the service is hosted at a restaurant, banquet hall or other outside facility, be sure to pre-order all food so it’s available as soon as guests arrive. Likewise, if you’re hosting at home or a private venue, be sure to have platters, desserts and other catering dishes delivered early enough in the day to ensure they’re ready when guests arrive. Often families appoint someone — a neighbor or friend, for example — to stay home and accept food deliveries in the hours leading up to the post-service reception. Keep in mind this is another time guests may ask to give impromptu toasts or share anecdotes, so be sure you have enough time and space to accommodate them. Memorial services are great ways to commemorate loved ones, with plenty of opportunities to personalize, customize and celebrate their lives in spirited and meaningful ways. The first step is determining how and when you’ll host the memorial service. From there, focus on developing a service that’s special and brings your loved one’s interests and passions into the spotlight. A personal memorial service will encourage friends and family to commemorate and celebrate; helping mark this special life and all that it represented in a way that will help us heal.